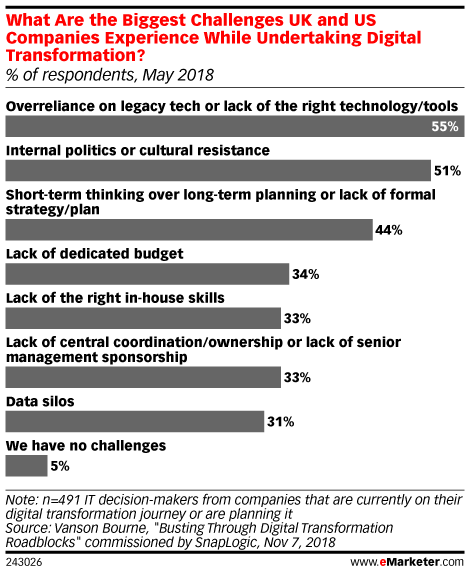 Data is from the November 2018 Vanson Bourne report titled "Busting Through Digital Transformation Roadblocks" commissioned by SnapLogic. 500 UK and US IT decision-makers from various industries at medium- and large-sized companies were surveyed online during April-May 2018. SnapLogic is a commercial software company. Vanson Bourne is a market research company.